What do you give the person who has everything? Something personalized and fun! About a year ago, I purchased a bottle of glass etching , and I’ve only used it a few times for personal projects. I decided to use it this year to make a few personalized etched glasses for gift giving, like these below that I made for my husband and myself. We are making the move in the New Year to drink more, if not only, water, and these glasses go perfectly with our SodaStream Power Automatic Sparkling Water Maker. The SodaStream Power encourages me to drink water because it’s more interesting than tap water, and these glasses definitely increase the fun factor! A few notes: I cut my vinyl stencils using my Cricut cutting machine. If you’re using a simple shape, you can cut out your stencil using scissors. Use removable vinyl. For the glasses, the more inexpensive, the better! Glass etching cream does not like expensive glass sometimes. Make sure the glass surface is clean and dry. 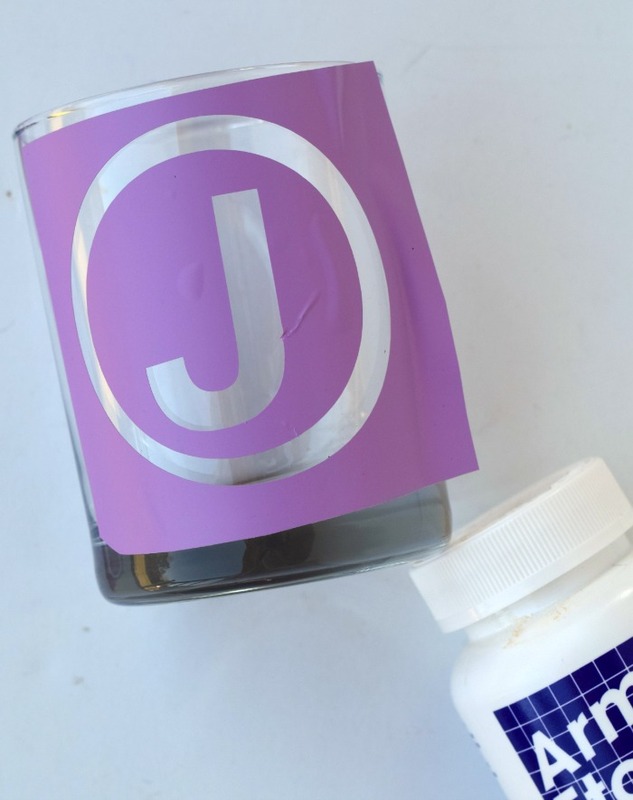 Apply the vinyl stencil to the glass surface. Be sure that the edges are pressed down securely to prevent the cream from bleeding under the stencil and ruining your design. 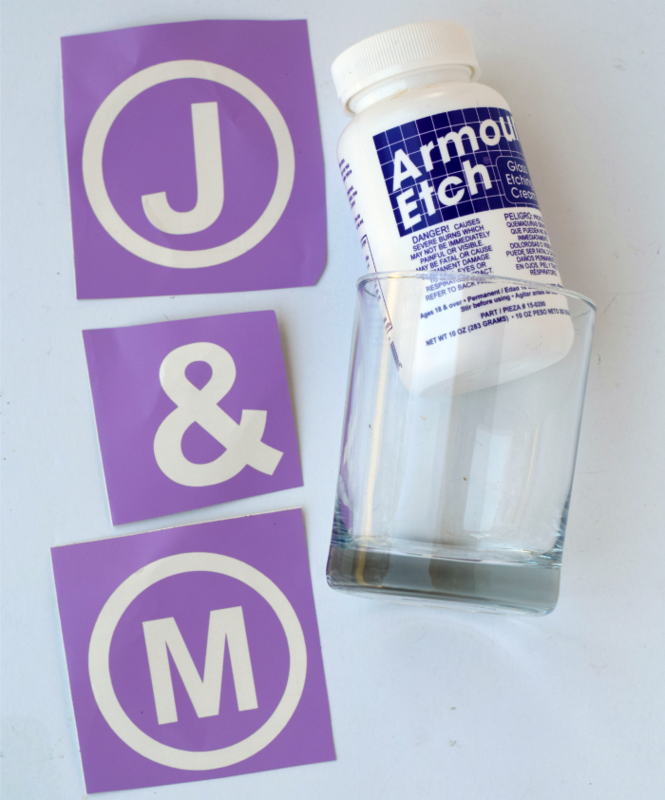 READ THE DIRECTIONS ON THE ARMOUR ETCH GLASS ETCHING CREAM. 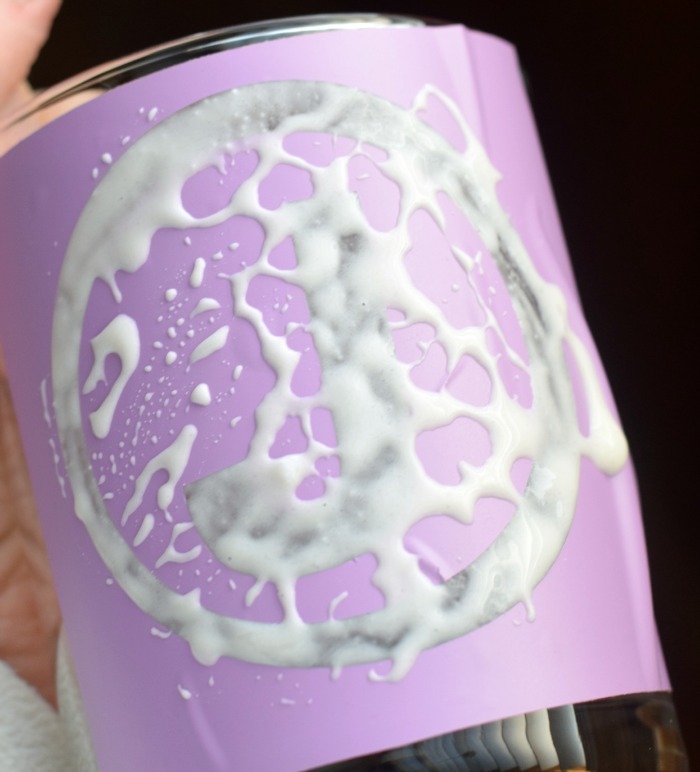 Glass etching cream can be harmful if used incorrectly. Do not ingest or get any of the cream on your hands. Wear gloves, if needed. Use the cream in a well ventilated area, and do not leave the cream lying around where little hands get reach it. Using the foam sponge, spread the cream over the stencil area. Let it sit for about 10 minutes. Wipe the cream off with a paper towel or cloth. This may take a few passes to totally remove the cream. If you’re looking for a non-DIY gift for someone in your life, I’m loving our SodaStream Power. 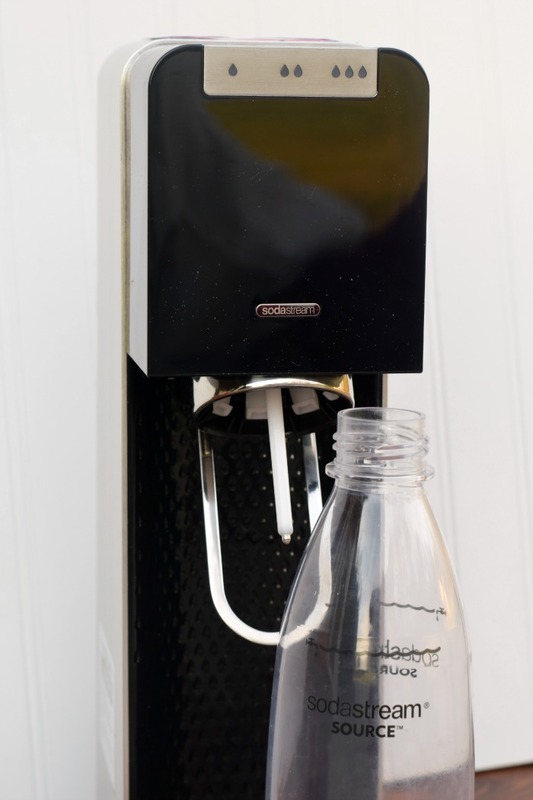 The SodaStream Power can be purchased from their website or a local retailer. It provides a sustainable way to enjoy beverages that are better for you and is the world’s #1 Sparkling Water brand. 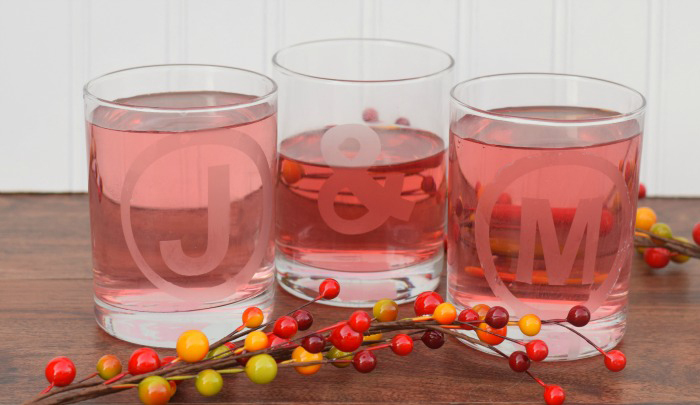 Users can also personalize their beverage with three different fizz levels. I like mine extra fizzy! The SodaStream Sparkling Drink Mixes are all delicious. The SodaStream Fruits is derived from fruit components, and the SodaStream Zeros are sweetened with plant based stevia. 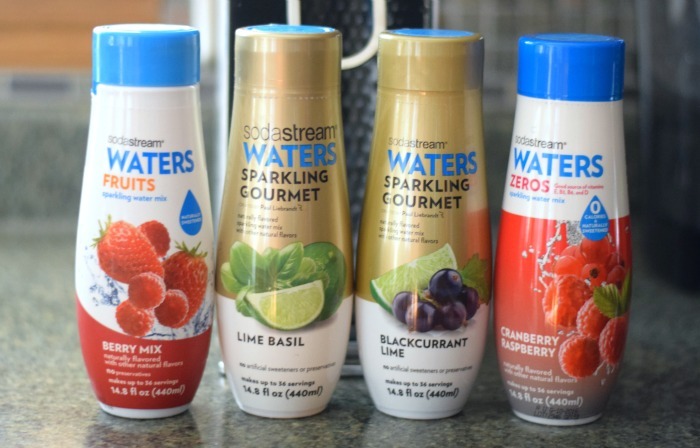 My favorite are the SodaStream Waters Sparkling Gourmet. This line features unique flavor combinations that are delicious! 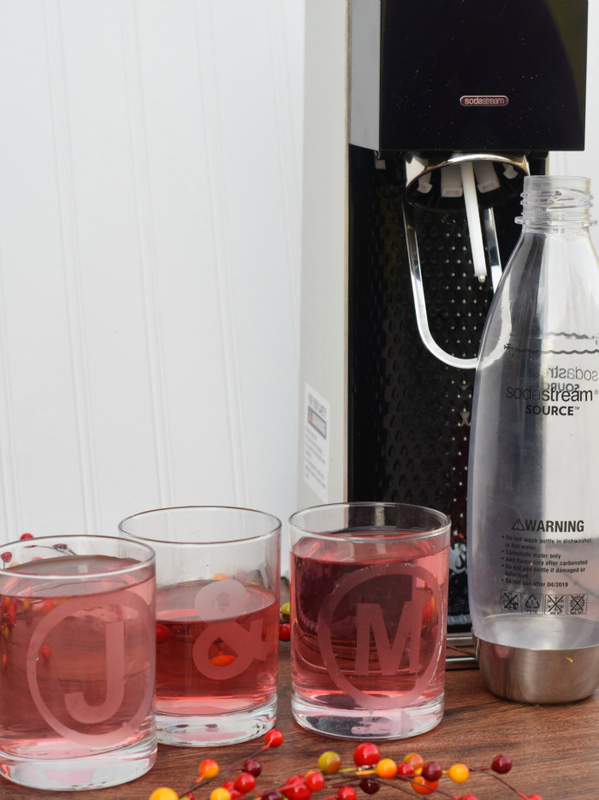 Which flavor SodaStream Water would you like to try? Find the latest SodaStream offers here! This is awesome. I never knew how you could do that. Thanks! These look expensive and i love how you can customize it for anyone! I am one of the most uncrafty people ever! And I think I could even do the etched glasses. They are so elegant. I have been wanting to try the Soda Stream. I love that they have Pepsi flavors. My husband loves Pepsi. those glasses are so cool! Great project…and I love that soda stream machine! Too cool! 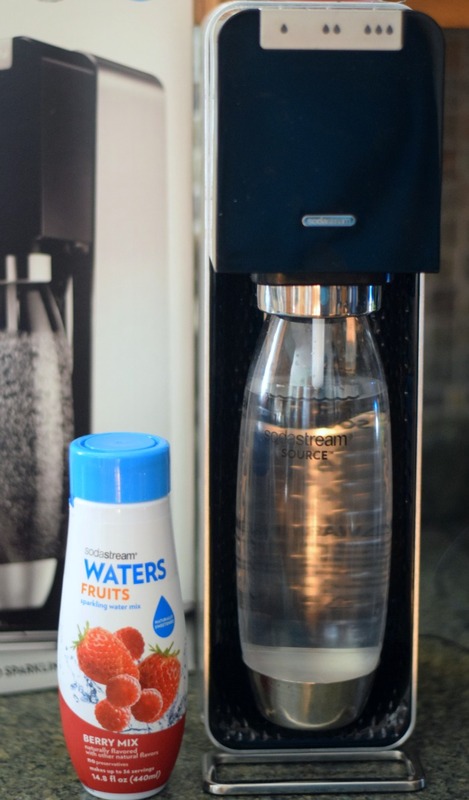 I like the idea of using the SodaStream for sparkling water rather than soda. I didn’t know I could do that, and I’m pretty brand loyal with cola. I am not brand loyal (and love) flavored sparkling water. Those are so cool. I didn’t realize these would be so easy to make. Love it! I absolutely love these! I have been needing a few extra Christmas gifts. I am going to make these!